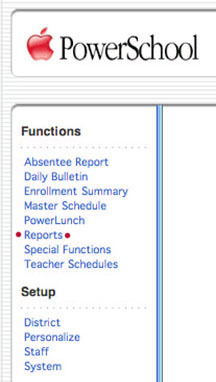 Select Reports from the Main PowerSchool Menu. 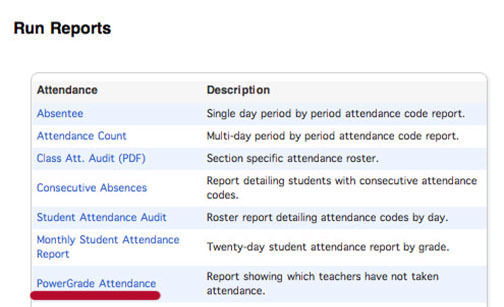 Select PowerGrade Attendance from the Run Reports Menu. 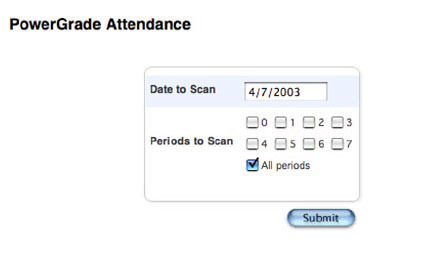 Enter the date to scan and select the periods to scan. Click submit to continue. The list shows the teacher and the periods that were not marked. Periods and teacher names are links and will open to email or a class list. The list can be printed from your browser.